This post was originally published in Chatbots Magazine. But how about building quality polyglot bots? Even most of the top bots on Product Hunt and elsewhere speak only one language, most often this is English. Multilingual bots are few and far between, and this is for a good reason. This is partly because bots are in their early days, but it’s also because rolling out a quality social bot able to speak foreign languages and understand them (at least to some degree) is an ambitious project. It takes longer than a weekend to pull off, and is yet to be fully attainable today — the technology needs to take that leap. It’s a challenge, but an opportunity too: The more languages you can teach your bot, the more clients will be interested in buying your services as a bot dev. Adding languages to a bot is a UX problem and not simply the matter of translating all text. Think of it as a redesign project or building new versions of your bot and this approach should help ensure a bug-free, enjoyable UX. This is a 2-part article. In this part, I’ll share some workflow insights I’ve collected from bot devs and also my localizer’s perspective on building with future localization in mind, shaping a localizable personality, crafting a localizable script, and even the dangers of your bot using certain emojis🙌 when socializing with foreigners. A short disclaimer: I’m not affiliated with any of the below startups or developers, nor am I aiming to promote them. The chatbot ecosystem is fragmented. As a dev, you know how many tools, languages, libraries, and platforms there are already. Which ones do you choose? Below are some workflow ideas I’ve collected from bot developers. At first we only had the German version of our bot. We are using wit.ai as an NLP system and a Node.js backend for the bot logic. As we started adding multilanguage capabilities, we first replaced the bot answers we stored mainly in wit.ai’s bot-engine with placeholders we resolve in our bot logic based on the language. Then we trained a new wit.ai instance to handle conversations in English (clone of the existing German wit instance with new English training data). For the answers of our bot we also copied the German language file, translated it ourselves, and let a native speaker do some corrections. We use the locale set by the user in his/her FB profile to choose which languages the user gets and added a language change option to the bot. From that point on, with every change to the bot we needed to make sure, that both wit.ai instances have the same functionality what makes developing and deploying new features more complex. Translating output of an app and a chatbot is nearly the same. You have placeholders in the frontend and language files in the backend that contain the strings used in the app/bot based on the user’s language. The main difference in a conversational interface like we have with our chatbot is that you also have a complex language input by the user that needs to be handled by an NLP engine. So, translating a chatbot is not just translating the output message, but also training an NLP model for the new language. 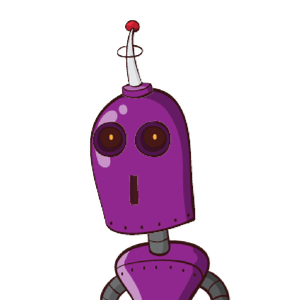 Developing bots at the moment is a bit more unstructured and you don’t have a fully functional development environment like you have for apps (Android Studio or xCode). You just get messages from Facebook (or other messenger), do something, and send a response back to the user. What you do in the “do something” part is totally up to you. You can choose whatever programming language you like and design it in the way you like. So there are different ways to implement multi language functionality. But there are existing i18n patterns and plugins for different programming languages that all mainly function the same… It’s kind of best practice. Of course, not all bots will need AI capabilities. If you opt for NLP, it’s worth remembering that while it may work for English, NLP for other languages doesn’t cope as well. Visabot’s team plans on adding support for Spanish and Chinese next year. For the cases when your user switches to another language, you may use a language detector in your conversations that will recognize a different language based on the percentage of words in an utterance. 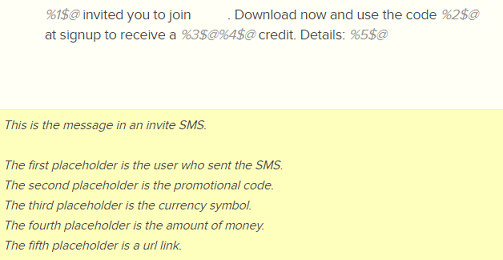 Then your bot can offer the user to switch to the language with the highest proportion. 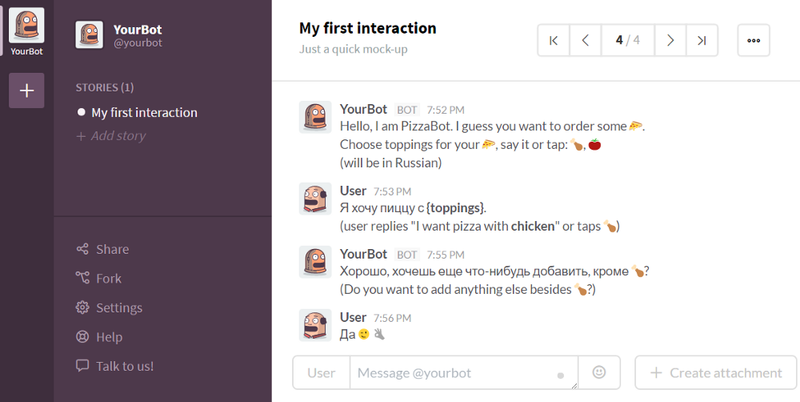 If you need help adding languages to your bot, Vic will be glad to chat with you. Feel free to reach out to him via his LinkedIn profile. Plan where is best to store your translation files. Maybe it’s best not to store them in your code repository: your linguists should have access to files early. If you plan on training the NLP engine, linguists will need a way to come back and make adjustments. Make it easy for editors/linguists to get at the input/output messages, so you can farm off the language editing component to them. Suggestion: Google spreadsheets integrate well with machine translation — using MT, you can get a fast feel of what is being discussed in the languages you don’t know and the training the linguists are providing. Here are more insights on the whole process and i18n from Klemens Zleptnig (Toni bot). When is the Right Time to Start Adding Languages? Before adding languages ask yourself if your users actually want to talk to your bot in their native languages. For most cases, the answer would be yes. It’s a well-known fact that we like using products in our native languages. To decide which languages to add first, analyze what countries your current users are coming from and what their preferred languages are. Also, consider how strong your competition is in those countries and what your stakes are. If you think your bot has big potential, it makes sense to think big, plan ahead, and roll it out in other languages to capture the foreign markets early — before others do this. Microsoft released WeChat bots in China and Japan (Xiaobing, Xiaoice, Rinna, and Tay) — obviously, Microsoft is poised to bite a piece off the Asia’s bot pie, fast. Fast, though, doesn’t mean rushing things: Teach your bot one language first. You’re luckier, if you’re a native or proficient English speaker, for obvious reasons. This strategy aligns well with a lean startup approach. Plan ahead. Start with one-language solution, code it to work with different languages from the start but don’t implement them yet; polish it, constantly tweak the script to improve the flow and responses based on what you’re getting from users; once the concept has been proved, start adding more languages. It’d be only fitting here to reemphasize the importance of i18n. Especially to young developers with no prior development experience trying their hand in bot development. To save yourself the trouble of reworking your code later on, make sure to review established i10n and l10n best practices and transfer them to the area of bot development. There is a ton of resources online. See, for example, this post written by my fellow team member, or here, here, and here. Most of the advice will be, if not directly applicable, very helpful when building, especially when building from scratch. Learnings: Implementing i18n and testing should help you avoid some common localizability (l12y) bugs — such issues as croppings/overlaps, wrong date/currency formats, missing characters. Before releasing, test your bot’s UI against l10n and i18n bugs. A lot of users responded [to the bot] as they would to a human, and when they got non-human responses, they’d stop using it. It’d be wrong to assume your bot’s responses will work in other languages after localization just because they do in the main language. Below are just a few examples of areas where things can go wrong and suggestions for improvement. You might want to take the user’s input and use it in your bot responses at runtime; however, taking a word or phrase out of context and putting it into another sentence works fine in English, but breaks in other common languages. This will give away the feeling of speaking to a dumb machine when your bot’s goal is to speak the least robot-like. Many languages have inflections and cases, so where in English you have one form of a word, in other languages there can be a variation (form) of this word and in another context yet another variation. How to improve: In your code, instead of placeholders/variables (unless the bot has been coded to handle this properly) use full sentences and send those to localizers. And don’t reuse strings in different contexts. Also, instead of placeholders, consider using graphic elements instead. For example, when giving a selection of pizza toppings, you might just need a few images or emojis. Besides, this way, the user will need to type less. A good localizer will advise you if there’s any problem with any emojis in their culture or simply will localize it as any other content — replace it with a more suitable one. Can someone besides ask me something? This is just an example for illustration purposes, Roll hasn’t been localized into other languages. How to improve: Don’t rely heavily on variables. Think about showing images/emojis instead of text. But remember: Some images and emojis might not be suitable in certain countries — more on this below. Open — Is it a verb or a noun? Is it an option/button or a prompt? Connect — Connect a service/device OR Connect with a person? Mute — Is it about turning off sound or notifications (Mute this conversation)? Translating product names or not? By the way, skipping adding comments/screenshots proactively, before the translation phase begins, and choosing to answer translators’ queries when they arise might seem like a time-saver (since you don’t know exactly which strings will be unclear). However, there’s a problem with this approach: Your translators will request clarification from you only if they are good translators. Also from experience: In many cases they will feel too lazy to do that and therefore will be guessing. Hence many localization errors and people wondering who made such a dumb error in such a simple phrase? While it’s very tempting to use carousels, buttons, and quick responses (they ensure user input is consistent and you save the user from typing etc., thus reducing friction), but it’s a room for UI bugs introduced during localization if you don’t plan ahead. For example, Messenger allows only up to 80 characters in title and subtitles, everything that exceeds that will have to be reworked. Remember to point this out to localizers (e.g. add localization comments), otherwise, you’ll have to get back to them and ask for shorter versions (from experience, this happens quite often). 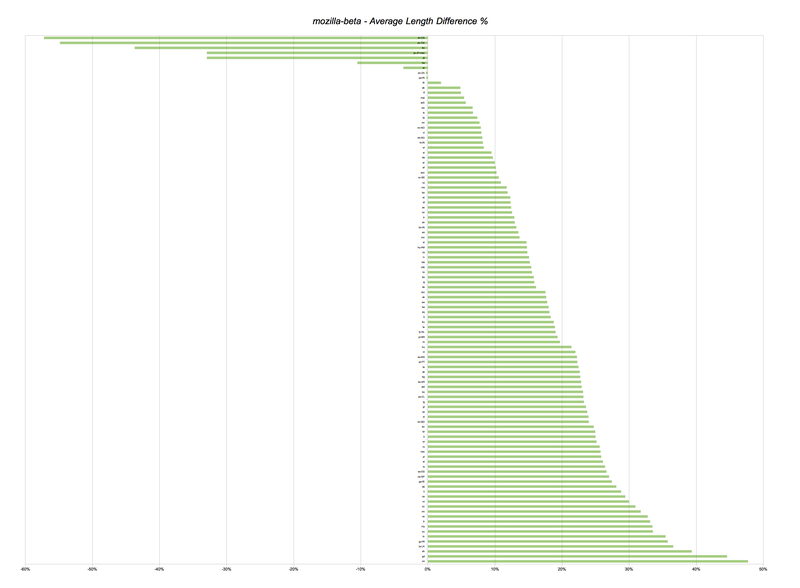 Here are Messenger’s detailed guidelines on sizes for titles and subtitles (and image dimensions). Other places to watch for croppings: calls to action, carousels, conversable forms (HTML-like elements such as checkboxes, checkmarks, and radio buttons in chat bubbles), and in persistent menu buttons. This chart illustrates that only a handful of languages are more concise than English according to this dev’s effort. Here’s the original post with findings. Devs can use this chart to estimate text expansion. One more tip: John Saito suggests using Google Spreadsheets in combination with the GoogleTranslate function to approximate translation lengths: You can quickly machine translate your strings in multiple languages to get the feel of how much leeway you need to have. How to improve: Follow best practices, avoid verbosity, be concise when writing for your bot. In bot responses, you may want to use non-text elements like images, video (Messenger and Telegram), audio (Messenger, Telegram, and Sequel), and emojis instead of text. If using buttons or quick responses, account for text expansion and make sure to provide localizers with character limits. If your bot is a native English speaker, it’s understandable if you didn’t even think about what gender your bot is. But when translating into certain languages, the gender question will be hard to avoid. Some parts of your script might be untranslatable unless your translators know whether your bot is female or male. In many languages pronouns, verbs, nouns etc. have different forms depending on the gender (yep, English is that gender-friendly). Translators might be able to find a creative walk-around solution, but not all the time. One example of a gendered bot: Microsoft made its Tay bot to be a 19-year old American girl. X.ai’s Amy and Andrew would be another such example. 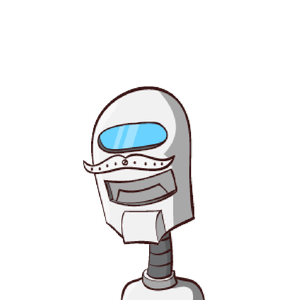 The fate of Tay bot is also an example that slipping in delicate matters, be it gender or politics, can have most unpleasant consequences (it was phased out shortly after the release). Maybe ditch the gender altogether and make it genderless? Siri, Cortana, Alexa, S Voice — some of the largest tech companies chose to do so. But besides refusing yourself an important helper in building a more human personality, there’s also a language incompatibility issue. One other reason why Apple, Microsoft, Amazon, and Samsung went for genderless might be that the language itself didn’t dictate so. English is a genderless language, so is Korean (and there are many more such languages). But if Apple were a Russian tech giant and not a US one, they would inevitably assign this or that gender to their bot. Simply because in Russian, there are no things, animate or inanimate, that don’t have either of the three genders. And so, when localizing to other languages, the first thing your translators will want to know is the bot’s gender. How to improve: If you opt to give it a gender, be sure to plan this out ahead, prior to writing the original script. And tell your translators whether your bot is female or male. Giving it the neuter gender will most likely raise eyebrows (it does in Russian and Ukrainian). And if you decided to use Machine Translation, be aware that your bot might become sexists for the same grammatical reasons as above. When translating from genderless to gendered languages (and vice versa) and when translating words that are gender-neutral in the original language but are gender-specific in the target language (e.g. teacher or salesperson in English which has two forms in Russian depending on the gender), statistical MT will inevitably have to attribute this or that gender, thus it’ll be essentially playing statistical guessing games (leaning towards masculine). And because AI has trouble getting the context, this issue is hardly programmable. How to improve: Even though Neural MT is making strides, for now, rely your business on human translators. If you’re on a budget, consider using a hybrid MT+escalated human in-chat translation; there are such solutions on the market already. Emojis help eliminate ambiguity and add context and emotional layer to the conversation. If mishandled, though, they can spark an international brawl… or just a frown. Alcohol-themed emojis are high in Australia and the US, but limit their use when localizing for Turkey and Arabic countries. To avoid any cultural inappropriateness, consult your linguists, as there are gestures that might be misunderstood abroad. You might also want to instruct your linguists to consider even the color of human-themed emojis. This must be an important issue if Apple has introduced racially diverse emojis in iOS and Slack introduced a welcoming hand that doesn’t discriminate, among others. How to improve: Have reliable linguists and discuss with them. Instead of emojis, consider using your chatbot’s images with different facial expressions or body gestures. 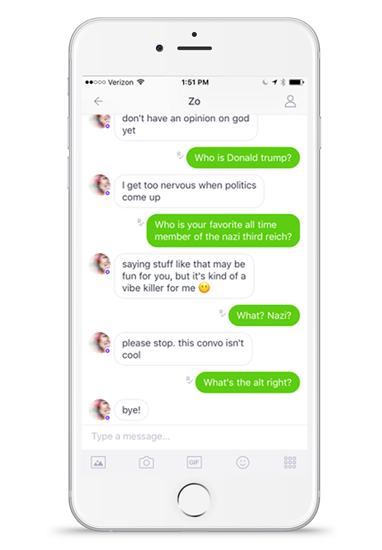 After a failure with Tay (which caused controversy with its racist and unpleasant comments, leaving the company with no choice but to phase it out), Microsoft released a new bot, Zo, which refuses to converse about politics. Consult your linguists on topics that should be avoided in the countries you’re targeting to avoid the fate of Tay. Avoid complicated grammar structures, better simple than failing. Your bot might be working and able to carry on quite extended conversations, yet users might not want to reengage with it. Giving it a personality will up your game. 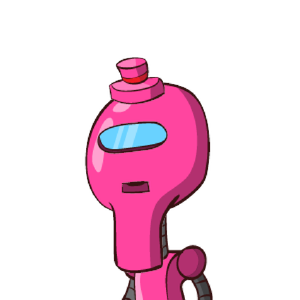 Of course, not all bots will need personalities, but having it should help improve retention (something that bots are struggling with) and virality. It’s important to give your bot a proper, foreign-friendly name; that is a name which is not associated with anything uncool or downright offensive in the countries you localize for. You know this localization tale about Chevy Nova, perpetuated by many translation vendors and marketers? As claimed, Nova translates into Spanish as “no go” or “doesn’t go” which spoiled sales for GM in Spanish countries. The “tale” has been debunked, but still serves as a good reminder. Consider creating different bot personas for different countries but remember about cultural differences. For example, when attributing some animal image to your bot (metaphorizing), take into account that in different countries there are different connotations associated with different animals. Or when targeting South Asian audiences, you might want to soften the bot’s image and adjust emojis and visuals (there are studies on this difference in localizing for the East and West). Learnings: Share with localizers all the details about your bot personas and their personalities and remind localizers to retain that. The Guardian found people can be turned off if the experience is too robot-like or casual, so they opted for a polite tone. X.ai found empathy and compassion help their AI assistant, Amy, achieve her goal (getting the meeting scheduled). Besides sounding less “bot-y,” your bot’s tone should match your company’s voice or simply be suitable for your bot persona. This shouldn’t be lost or altered during the localization — remind your localizers to keep the right tone. A bot for a legal company shouldn’t speak like a bro. And a bot giving bar recommendations shouldn’t speak like a corporate consultant. Similar to the traditional app development practice, you may use different tone depending on the message type (e.g. system messages vs. chatting). Learnings: Create a styleguide, or “toneguide,” and give it to your foreign wordsmiths. Let them know who your ideal audience is: They should already be familiar with how that audience communicates in their countries and should imitate that when crafting the script. If not, you might want to instruct them to study conversations between people that represent your target audience prior to writing or localizing your script. Designing for human emotion is a well-known guideline in the dev and design world. This is something you already are doing as a bot dev, but it is as important that your linguists follow it when writing or localizing the script. 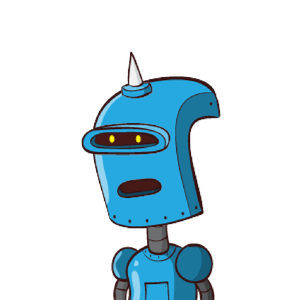 When done right, you bot’s personality will evoke emotions and thus will help keep users engaged. The more natural it feels, the more enjoyable the experience is. For example, Amazon’s Alexa has very human “hmm’s” and “um’s” in her responses. Apple’s Siri assistant knows how to crack a joke and can beatbox upon request. 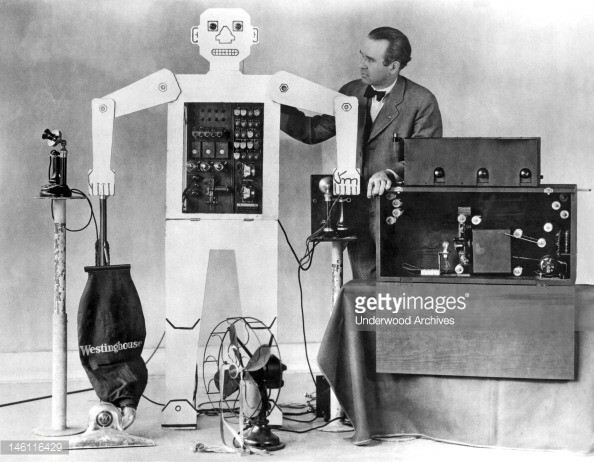 The personality your bot exudes is what will be upping it’s rankings and virality. The job of your linguists is to correctly translate that personality and such little traits like above for users in other countries making sure all is as relevant and engaging. If your team does a good job, people might be actually saying “thanks” to your bot like to a human. Hope you enjoyed it! In the second part, I share tips on collaboration and choosing the right partners for your multilingual bot project, and why bother localizing your bot at all — benefits of localization. If you liked this post, please click 💚 below. And if you digged it and would like to be notified about my next one, hit subscribe. Also, join my brand-new Polyglot Bots Facebook group here. Why do devs need a game localization style guide? How to check game localization quality for free, when you (a dev) don’t know the languages?